The Microsoft Azure Marketplace is an online applications and services marketplace. Customers can discover, try and buy cloud software solutions and services that is either built or can be built for on top of one of the largest cloud platforms in the world, Microsoft Azure. The catalog, includes over 8,000 listings, contains Azure building blocks like Virtual Machines (VMs), APIs, Solution Templates, and SaaS Apps. As a leading partner in the Azure Blockchain space, Envision Blockchain Solutions is proud to offer customized, pre-packaged services through the Azure Marketplace. 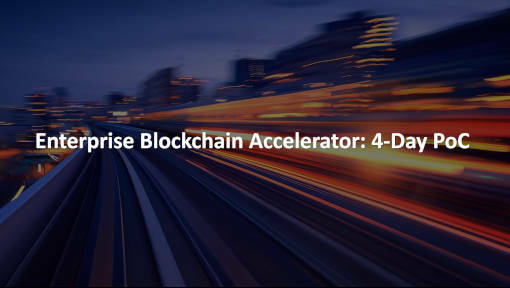 Envision Blockchain Solutions offers a Blockchain Immersion Lab in order to provide a relaxed, educational and guided tour of today’s Blockchain and IoT technology. 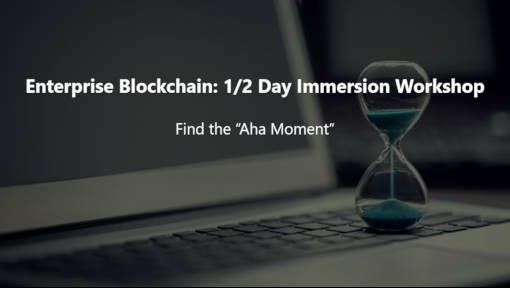 With the help of Subject Matter Experts and Microsoft Azure Blockchain Workbench, the full day Blockchain Immersion Workshop provokes forward thinking which result in questions that help our clients find the “Aha Moment” they are seeking. Blockchain or Distributed Ledger Technology (DLT) has been around for over 10 years, but in recent times the world has opened up to the possibility of mainstream and business adoption. There is a mixed feeling around Blockchain. Some are skeptical, while others are ready to jump head first into the possibilities of improving processes and realizing the benefits. 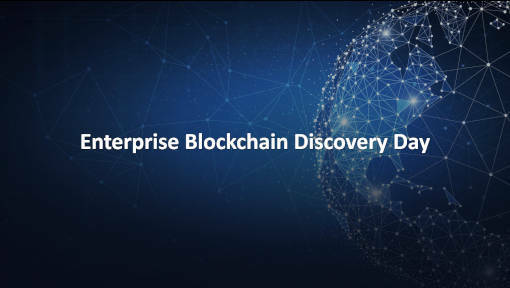 That’s why we suggest that before investing any resources into Blockchain Development, to sign up for the Enterprise Blockchain Deep Dive Use Case Workshop. 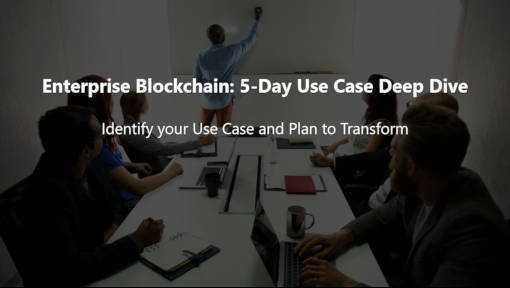 Participants of this workshop will learn the Benefits and Values gained by conducting their Business utilizing Blockchain Solutions. The Deep Dive defines both functional and technical requirements.